Preparing your children for lifelong learning success! From preschool to kindergarten, at The Learning Express Preschool, your child will engage in constructive activity based learning that focuses on a developmentally appropriate academic curriculum. We provide a solid foundation of fun and education; emphasizing on cognitive development, social and emotional skills, creativity, including language and literacy. Our programs are adapted to your children's needs to be children while helping them to learn the fundamentals that prepare them for elementary school. We have three age appropriate programs: Early Preschool, designed for children three years of age; Preschool designed for children four years of age; and Pre-Kindergarten designed for young five's / older four-year-old children. The Learning Express Preschool fosters children's natural curiosity to learn by having the support of nurturing educators whose goal is to see your child succeed! Our distinctive, teacher created curriculum allows us to meet each child’s unique cognitive, social, and emotional needs which we combine with the finest early-childhood standards from across the nation. The Learning Express Preschool Program is designed to address kindergarten readiness skills in a unique hands-on, activity-based approach, in combination with the finest early-childhood standards from across the nation. As your child approaches the age of three, he or she is ready to develop new skills. 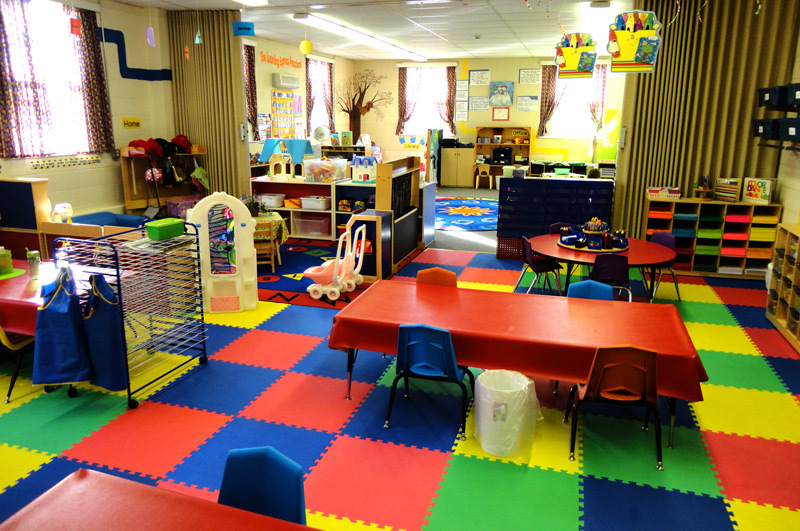 Our "Three's Classroom" is an Early Preschool Program designed to emphasize socialization and emergent skills. This will prepare your child for an educational voyage that will lead to kindergarten and lay the foundation to lifelong success. Our distinctive, teacher created curriculum allows us to meet each child's unique cognitive, social, and emotional needs which we combine with the finest early-childhood standards from across the nation. Our Early Preschool learning adventure begins with our weekly, thematic literature based content, supported by planned learning activities that develop social, motor, creativity, cognitive, as well as communication and language skills. Theme based curriculums are an effective way to introduce and formalize beginning concepts. The "Three's Classroom" has multiple learning stations outfitted with engaging and developmentally appropriate materials. We understand that children learn best through the playful interaction of objects and people. That is why we promote children's natural inquisitiveness in an environment that allows them to learn and progress at their own pace. We believe that "Constructive" play is a powerful learning tool and should not be undervalued. Circle Time – we wash hands then enjoy a snack at circle while listening to a story. Parents are given an assessment at the end of the year and are encouraged to inquire about progress throughout the year. We use positive discipline and redirection if needed without the use of a time out chair. Visit our enrollment page for tuition and registration process. We encourage you to schedule a visit to The Learning Express Preschool. READY TO ENROLL YOUR CHILD IN A CLASS? 2019/20 REGISTRATION IS OPEN - GET THE DETAILS! The Learning Express Preschool Program is designed to address kindergarten readiness skills in a unique hands-on, activity-based approach, in combination with the finest early-childhood standards from across the nation. We address all curriculum areas incorporating a variety of learning styles to engage and encourage our students. The teachers in our Preschool program team-teach, alternating lead teacher monthly and work closely with the Plymouth Canton school district. Our Preschool learning adventure begins with our weekly, thematic literature based content, supported by planned learning activities that develop critical thinking and creativity. The "Four's Classroom" has multiple learning stations outfitted with engaging and developmentally appropriate materials. The students will breakout into small groups, to meet one-on-one with an assigned teacher and to work on small group learning activities that help to provide a better sense of community within the context of the large social group. Your preschooler's assigned teacher will also compile a work sample portfolio for conferences. We understand that preschoolers learn best through the playful interaction based on their interests and prior knowledge. That is why we promote children's natural inquisitiveness in an environment that allows them to explore the world around them and to prepare them for kindergarten. If your child loves active and creative learning this is the program for them! Circle Time – end of day wrap up while listening to a story. Once a week we have small group time with fun learning activities and small group discussions. Progress reports are provided in November and parent-teacher conferences are scheduled in March/April. Parents are welcome to inquire about progress throughout the year. The Learning Express Pre-Kindergarten Program is designed to meet the learning needs of late four* and young five* year old children. This program uses a traditional approach infused with plenty of play and large motor activities. It incorporates the finest early-childhood curriculums available from across the nation to assist your child with a successful transition into Kindergarten. Our Pre-Kindergarten learning adventure begins with education focused classroom that will stimulate the curiosity of your pre-k student. This creative hands-on curriculum blends basic kindergarten readiness skills, Critical-thinking skills, and social development. In addition the "Young Five's and Older Four's Classroom" has learning stations and your pre-kindergartener will be introduced to skill sheet experiences at these stations. This program is not a kindergarten and young fives mixed class, this is a class created for the young five's / older four's and they rule here! For a class timeline please contact the school for more information. Class Times: Monday thru Fridays from 9:00 – 1:00 pm, children will need to bring a nut free lunch with them to class. *For students that did not meet the kindergarten cutoff date or may need additional time for development. Visit our Gallery for more! We follow the Plymouth Canton Schools for weather related closings; please visit their website if you have questions about closings. © 20012-17 The Learning Express Preschool - Plymouth, Michigan. All Rights Reserved.